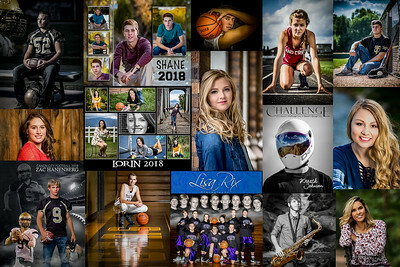 While I enjoy almost all photography I am partial to sports and portraits. I especially like the challenge of creating custom collages that combine many facets into one print. Prices cover only my time and abilities. Images; digital or print can be purchased through the website. CDs or USB Flash Drives are also available. All portraits are shot on the location(s) of your choosing. I strive to make each session as individual and as unique as the people involved and your prints something you will cherish. One to two locations and one to two clothing changes. One to four locations and as many clothing changes as you can accomplish in two hours. Session fee is due at the beginning of the session. If you need something besides portraits, click on the contact me link in the menu and we can discuss the specifics.